Hey there SEOnauts! The state of SEO in 2018 is very different than what it was even just a couple of years ago. With changes in the algorithms come changes in the tools we use to do our search engine optimization. So, to make it easier for you, we compiled a list of the 25 best SEO tools you need to know and grouped them into five neat categories: keyword research tools, technical SEO, backlink analysis, link building, and rank tracking. While some of you might already know these tools, we feel like our community will benefit from this post. And while we’ve tried to compile the list of the best ones out there, it really comes down to personal preference (well, and actually correct data 😀). 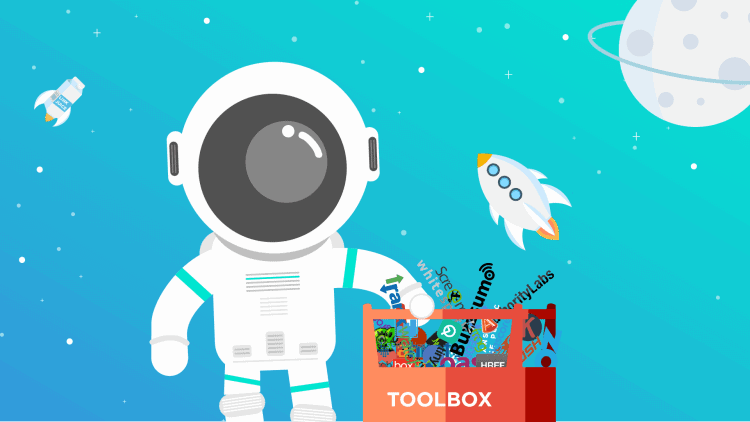 Need a tool to boost your SEO? Try Morningscore! Good keyword research is the cornerstone of your SEO. The following tools will help you find the right keywords, so your content reaches your desired audience. Answer The Public – Answer The Public is a tool that gives insight into what your customers are searching for and presents it in a nice, visual way. It’s a great place to brainstorm and get inspiration for further research. Twinword Graph – a nice brainstorming tool that helps you find LSI keywords (keywords that are semantically related aka synonyms). Using the LSI keywords lets you boost topic relevance without the risk of over-optimization. If you’d like to know more about doing keyword research that will give a boost to your SEO activities, head over to our complete long tail keywords research guide and see some of the FREE tools in action. The term technical SEO entails everything other than your content. It refers to optimizing your website, so search engines can access, crawl and index it. Basically, this is how you help Google’s web crawling bots understand the content and structure of your website. It can be difficult to master, which is why we suggest you try out these tools. DareBoost –By using DareBoost, you can get a very detailed web performance and quality report of your website. They also explain how to fix the issues from the report precisely so that you can optimize your loading time and technical SEO. Screaming Frog – Screaming Frog is a desktop website crawler and auditor. It will crawl your website just like Google’s web crawling bots do and give you an evaluation of your onsite SEO. It is helpful in identifying common errors and issues, discovering duplicate content, analyzing metadata and generate XML sitemaps. SEOptimer – Another nice, free tool you can use to get an SEO audit. The report gives you insight into issues from 5 categories: SEO, usability, performance, social and security with details on how to improve those issues. Xenu’s Link Sleuth – Free, lightweight software (Windows only though) that checks websites for broken hyperlinks. Yoast SEO – One of the most used WordPress SEO plugins. It optimizes technical SEO and helps you with keyword optimization of your content. It’s a must have for anyone that uses WordPress. Every link building campaign should start with a backlink analysis. This is where you check the total number of links and unique domains, check the quality of the inbound links, anchor text etc. But don’t worry, this process is made simple by using any of the following tools. Ahrefs – Ahrefs has some of the best data on the market and is a very popular tool for tracking backlinks and keywords. You can also check out what your competition is doing which is always a bonus. SEMrush – A very extensive SEO tool that, among other features, offers a detailed look into your domain’s backlinks letting you discover and remove potentially dangerous backlinks. Morningscore – A new tool that helps you measure the value of organic traffic in $. It simplifies complex data making it easy to understand for SEO gurus and SEO rookies alike. Displays the rank and rank history of your keywords and your organic traffic, along with data on your links (including a list of new and lost links), suggests new keywords and gives you an analysis of your competitors so you can always keep one step ahead of them. Majestic – A link index database with an SEO backlink checker. Moz Link Explorer – A tool for backlink analysis and link building useful for removing dangerous backlinks and looking into your competitor backlink profile. If you would like to know more about backlinks and why they are so important for your ranking, read our beginners guide How do backlinks work? Generally agreed on as one of the hardest parts of SEO. Making sure you have high-quality links will improve your ranking, Google bot crawlability and put you ahead of your competition. BuzzSumo – BuzzSumo is a handy tool where you can find highly relevant links. You do this either by browsing by topic or using your keywords. You can even see the backlinks leading to the suggested popular sites. Check My Links– A speedy Chrome extension that lets you check for dead links on any site, you can then use a sly tactic by Moz (https://moz.com/blog/check-my-links-chrome-extension-a-link-builders-dream) and contact the website asking them to replace their broken link with yours. Whitespark– Whitespark specializes in helping you with local SEO. Part of their tool is a Local Citation Finder that can be used as inspiration for outreach. LinkMiner – Another tool that you can use to see your competitor’s backlinks and then use those for link building. Pitchbox – A link building and influencer outreach platform for content promotion within your chosen niche. Tracking your website and keyword rankings is a part of your SEO process that allows you to make content decisions to get the most out of SEO. By knowing exactly where you stand you will be able to re-evaluate your current strategy and readjust your future tactics to prevent a decrease in site traffic. Authority Labs – Authority Labs offers a tool for daily SEO tracking. Just add your domains and keywords, and you’re set. You can even recover the “not provided” keywords. Tiny Ranker – Tiny Ranker is a tool with a simple interface and daily updated rankings. SE Ranking – A cloud-based platform that provides a complete set of SEO tools. Among other things, you can use it to track keyword positions by country, region, and city. Rankwatch– A simple SEO Management Platform with geo-specific results allowing users to optimize their local SEO. We’ve made an eye-pleasing infographic with the top 3 features of each of these tools so that you could have a quick and clear overview of them. Note that the categories are marked with a little symbol, and you can see each category in the symbol map above the list. How does Morningscore compare to some of the tools in the list? Morningscore’s goal is to bridge the gap between SEO and business. We are making an SEO tool that will simplify SEO and make you successful in your efforts no matter if you are an SEO guru or beginner. By giving you an SEO tool that will give you a unique insight into just how much your organic traffic is worth, along with keeping track of external links and monitoring competitors. All this combined with a simple and sleek user-friendly platform that present the data to you in a clear, easy-to-understand way. Morningscore provides you with the combined data from the best tools available to the third of the price of other tools and comes with all the standard SEO features as well as some new business-orientated ones. Backlink data: track all your links to your website in a simple and easy to use interface with data provided by the industry leader Ahrefs. Find out how you compare to other sites and get summarized info like the link value and lists of new and lost links making it easy for you to get that all-important “link juice” back. Always see the latest development of your SEO efforts: this is only possible because the team behind Morningscore has developed a separate crawler that crawls the web for usable data 24/7. SEO investment suggestions: this is the mission section of our tool that offers different objectives that are tailored to your SEO level. 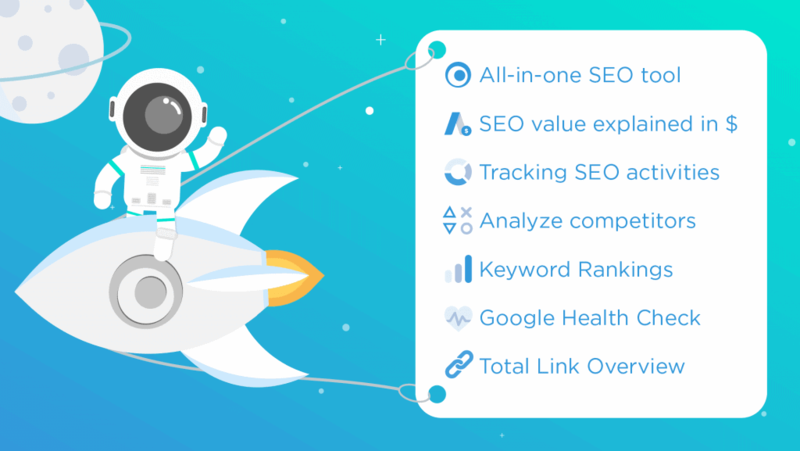 So if you want to make sense of your SEO, hurry over to morningscore.io and try these features out for free. That concludes our list of the best SEO tools currently out there. Learn more about how your business can benefit from “push” and “pull” marketing from our case study. Or check out our roadmap if you’d like to see upcoming updates using your favorite SEO tool.